There was reason to celebrate for SI-UK Japan this week as they beat off competition from over 200 other agents and won INTO Best Partner for 2015! At a hosted dinner gala on the beach, SI-UK won the award in front of esteemed guests from other education agencies. INTO Study Centres offer students excellent educational environments with fast, effective and assured progression into leading university degree courses. In the UK there are twelve INTO Study Centres who offer a range of programs including academic (Foundation, Graduate Diploma and Pre-Masters) and English language courses to support academic study. Study English Abroad and Summer School programmes are also available. In further good news, SI-UK Tokyo also won INTO's selfie competition. 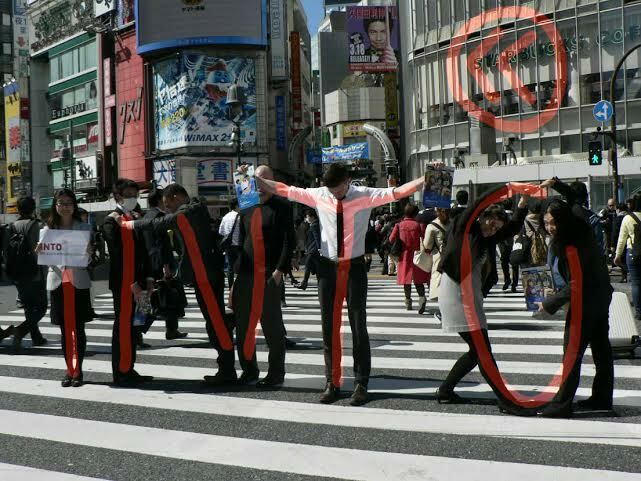 INTO decided that the effort below, featuring members of SI-UK’s Tokyo staff on the world famous Shibuya crossing, was good enough for first place and a £500 marketing prize. Are you interested in learning more about studying in the UK? Arrange your free consultation at our India offices today!